As the International Shluchim Convention gets underway – we share a letter of the Rebbe in which he answers those claiming that Chabad activities constitute hasogas g’vul – the Rebbe gives a clear and definitive explanation based on halacha – with logical and reasonable explanations as well. In preparing for the Shluchim Convention this coming week – we share a powerful letter of the Rebbe in which he encourages a shlucha who feels discouraged and doubtful of her capability and suitability to do her shlichus work. The letter, written originally in English, is from the archives of the Rebbe’s trusted secretary Rabbi Nissan Mindel. In keeping with these parshios of Avraham our patriarch, the first to teach and spread the concept of monotheism to the world, we present a letter in which the Rebbe explains – in clear and practical terms – the idea of monotheism to a chiropractor. The letter, written originally in English, is from the archives of the Rebbe’s trusted secretary Rabbi Nissan Mindel. The Rebbe’s letter this week is about the Zayin Mitzvos – addressed to a non- Jew who asks about “making peace with G-d” – which, the Rebbe says, is not an end in itself, but rather it is the fulfillment of one’s destiny which should be one’s goal. The letter, written originally in English, is from the archives of the Rebbe’s trusted secretary Rabbi Nissan Mindel. As we enter the new year which is a leap year, we share a letter of the Rebbe explaining the concept of a leap year with a two-fold lesson and an encouraging message. The letter, written originally in English, is from the archives of the Rebbe’s trusted secretary Rabbi Nissan Mindel. As it is customary to check our mezzuzos and tefillin in the month of Elul, we share a letter of the Rebbe about the mitzvah of mezzuza, in which the Rebbe discusses the validity of pointing out the benefit/reward of doing a mitzvah – as when he initiated the mezzuza campaign and pointed out the benefit of a mezzuza. The letter, written originally in English, is from the archives of the Rebbe’s trusted secretary Rabbi Nissan Mindel. Weekly Letter: Is doing a Mitzvah for an Ulterior Motive Hypocritical? In preparation for Rosha Hashanah – as we make an accounting of our deeds and resolutions for improving our deeds, we present a letter in which the Rebbe encourages the writer in the actual doing of the Mitzvos, even if doing so for an ulterior motive – and explains why this is not hypocritical. Also touching upon a message for Rosh Hashanah. The letter, written originally in English, is from the archives of the Rebbe’s trusted secretary Rabbi Nissan Mindel. Entering the month of Elul and in preparation for Rosh Hashanah – when we are inscribed for a good and sweet year – we present a letter in which the Rebbe answers the question: How can Kesivo va’chasimo tova be reconciled with the idea of freedom of choice and action – as this inscription implies predestination? The letter, written originally in English, is from the archives of the Rebbe’s trusted secretary Rabbi Nissan Mindel. Having just celebrated the joyous day of Tu B’Av, we present a letter from the Rebbe with detailed and clear advice regarding a shidduch. The letter, written originally in English, is from the archives of the Rebbe’s trusted secretary Rabbi Nissan Mindel. This week we present a fascinating letter the Rebbe writes in answer to an artist who wishes to add a stone to the Western Wall. In it the Rebbe explains the injunction in Parshas Vo’eschanon (as well as in another parsha) to neither add nor detract from the words of the Torah. The letter, written originally in English, is from the archives of the Rebbe’s trusted secretary Rabbi Nissan Mindel. 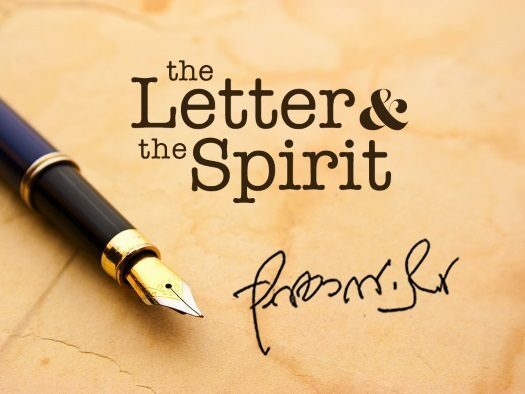 During the period of the Nine Days, we share a letter of the Rebbe in which he refers to the Nine Days and its connection to the advice he is giving the writer regarding his question. The letter, written originally in English, is from the archives of the Rebbe’s trusted secretary Rabbi Nissan Mindel. We traditionally learn Pirkei Avos throughout the summer months – the fascinating letter we share this week is to an author of a book on Pirkei Avos. In it, the Rebbe gives the author constructive criticism and advice regarding the sources he uses in the writing of his book. The letter, written originally in English, is from the archives of the Rebbe’s trusted secretary Rabbi Nissan Mindel. As we enter the three weeks – a time of tragedies in Jewish history, we present a letter of the Rebbe in answer to a writer, whose search for the truth lead him to the Old Testament. He asks why it is that Jews have remained loyal to their faith in spite of the many persecutions and suffering. The letter, written originally in English, is from the archives of the Rebbe’s trusted secretary Rabbi Nissan Mindel. In preparation for Yud Beis Tammuz we present a letter of the Rebbe to the chairman of a Chassidic Event – in which the Rebbe refers to the trailblazing activities of the Frierdiker Rebbe here in America and encourages all to be inspired by his boundless dedication and mesiras nefesh. The letter, written originally in English, is from the archives of the Rebbe’s trusted secretary Rabbi Nissan Mindel.